A wedding ceremony is a grand occasion, and contributing to make it that way, are accessories that capture the spirit of grandeur. A perfect example of such an accessory is the Gold Serving Set which takes the features of a classic serving set, marries them with a wedding appropriate aesthetic and presents them in a form appropriate for the ceremony. 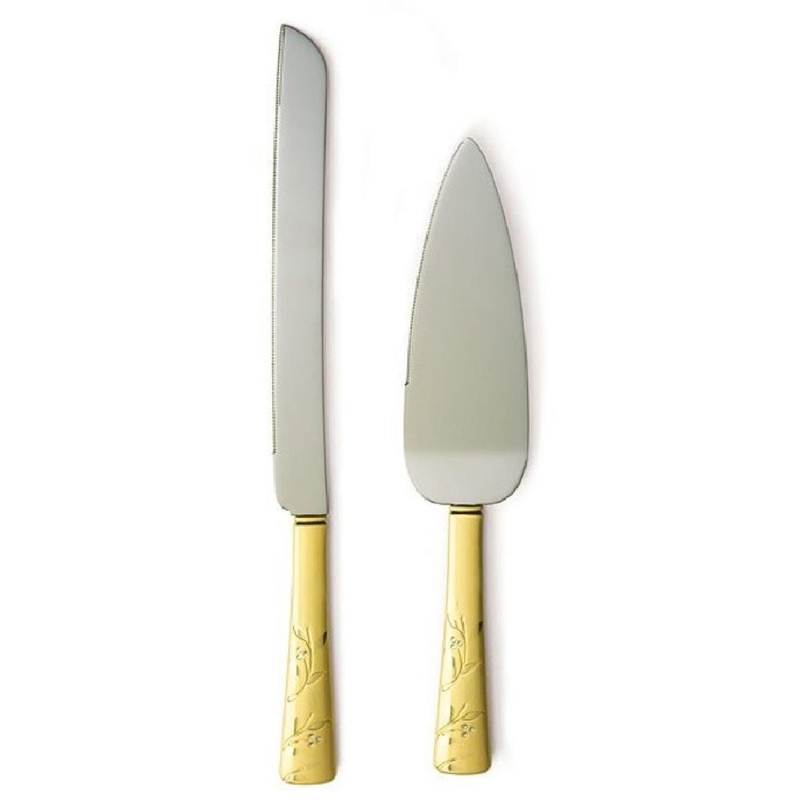 Both, the cake cutting tool and the server make great wedding keepsakes for the newlyweds.